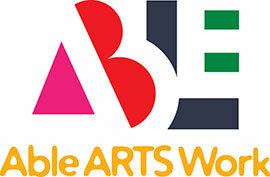 Able ARTS Work (formerly known as Arts & Services for Disabled, Inc.) leadership would like to thank its loyal supporters. They would also like to assure them that the highest quality programing are in place to continue the work that guarantees persons with developmental disabilities receive an arts and music education at the highest standards. Many local corporations including banks and insurance companies have employee-driven donation programs. If you work for a company or know someone who works for a company that donates to community organizations, please let Able ARTS Work (formerly known as Arts & Services for Disabled, Inc.) administration know.